standard of review Archives - В сложной финансовой ситуации приходит на помощь кредит наличными в Казахстане. I am sure you have an insurance policy…some type of policy. An automobile liability policy. A commercial general liability policy. A professional liability policy. A property insurance policy. A directors and officers liability policy. A workers compensation insurance policy. 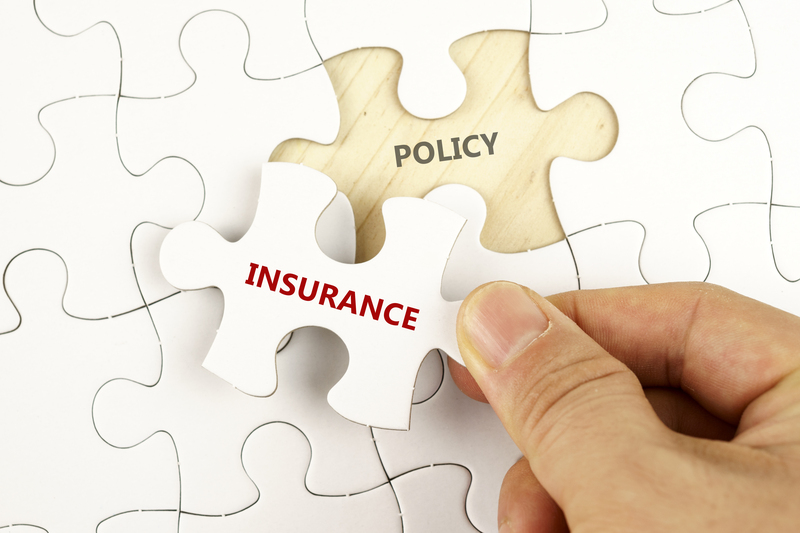 There are many types of insurance policies. I am sure you have some insurance policy to protect you or your business’s needs or risks. You may have even been involved in an insurance coverage dispute or have had issues dealing with insurance coverage. If you read any one of your insurance policies, you will probably be left with more questions than answers. You will be asking yourself “what does this mean?” or “what does this say?” and will often be left bemoaning “huh!? !” with every other sentence you read. Slowly, software for insurance agencies is being developed to make the customer interface, and policy information much more simple. This is the exact reason why there are insurance coverage disputes. Government Employees Insurance Co. v. Macedo, 42 Fla. L. Weekly S731a (Fla. 2017) (internal citations omitted). 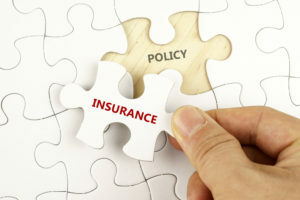 Obviously, if you have an insurance coverage dispute, you want to make sure you are represented by an attorney that understands the complexities of insurance coverage. Nonetheless, it is imperative that you understand that insurance policy construction is a question of law for the Court with a de novo standard of appellate review. If there is a jury trial, there will be a motion for directed verdict. But, the standard for granting a motion for directed verdict is challenging; if the directed verdict is granted, an appeal will be filed arguing the trial court’s error in granting the directed verdict. James v. City of Tampa, 2016 WL 3201221 (Fla. 2d DCA 2016) was a personal injury action. The issue at trial was whether the plaintiff’s injuries from a car accident constituted a permanent injury (as this issue impacted damages to be awarded to the injured plaintiff). At the conclusion of all of the evidence, the trial court granted the defendant’s motion for directed verdict on the issue of whether the plaintiff suffered a permanent injury, meaning the directed verdict prevented the jury from considering whether the injuries were permanent, and if so, damages associated with the permanent injuries. Naturally, the plaintiff appealed. A motion for directed verdict should be granted only where no view of the evidence, or inferenced made therefrom, could support a verdict for the nonmoving party. In considering a motion for directed verdict, the court must evaluate the testimony in the light most favorable to the nonmoving party and every reasonable inference deduced from the evidence must be indulged in favor of the nonmoving party. In there are conflicts in the evidence or different or reasonable inferences that may be drawn from the evidence, the issue is factual and should be submitted to the jury. The standard of review on appeal of the trial court’s ruling on a defendant’s motion for directed verdict is the same test used by the trial court in ruling on the motion. James, supra, quoting Sims v. Cristinzio, 898 So.2d 1004, 1005-06 (Fla. 2d DCA 2005). Here, the appellate court had no choice but to reverse the directed verdict remanding the matter back to the trial court for a new trial as to damages. The plaintiff put on expert testimony regarding the issue of permanent damages and the defendant cross-examined the plaintiff and presented its own rebutting expert. Thus, the issue of permanency was really a question for the jury as the directed verdict would only be appropriate where “the evidence of injury and causation is such that no reasonable inference could support a jury verdict for the plaintiff…on the permanency issue.” James, supra. The recent case of Arizona Chemical Company, LLC v. Mohawk Industries, Inc., 41 Fla. L. Weekly D1213a (Fla. 1st DCA 2016) is a case I discussed regarding lost profit damages. Check out that article here. But, this case also raised an interesting trial and appellate issue involving “other products” evidence to support an alternate causation argument, such as when a specific product or manufactured component fails. This case involved a manufacturer of a specific brand of carpet suing the manufacturer of resin that was used in manufacturing the failed carpet brand. The carpet manufacturer claimed that the resin failure caused an increase in warranty claims and consumer complaints. Applicable here is the carpet manufacturer’s pre-trial motion in limine to prevent the resin manufacturer from introducing evidence about other brands manufactured by the carpet manufacturer (that did not use the resin) that contemporaneously failed and also resulted in spikes in consumer claims. In particular, the resin manufacturer intended to introduce evidence at trial of consumer claim spikes related to three other brands of carpet manufactured by the carpet manufacturer, although none of the other brands used the resin. The resin manufacturer claimed that such contemporaneous failures indicate that something other than the resin caused the failure in all of the brands. An alternate causation argument. Makes sense, right? The trial court, however, granted the carpet manufacturer’s motion in limine since the other products were dissimilar to the failed carpet brand at-issue (as none of the other brands used the resin) precluding this “other products” evidence from being introduced during trial. Generally, evidence of “possible explanations” for the plaintiff’s harm other than the defendant’s negligence is relevant and must be admitted. To establish the relevance of particular alternative-causation evidence, however, the defendant must provide a competent evidentiary link between the plaintiff’s harm and the defendant’s theory. This threshold requirement exists as a function of the relevance rule, even though the defendant does not carry a quantifiable burden of proof as to the alternative explanation. Here, Arizona’s [resin manufactuer] basic argument is that the excluded evidence was relevant to rebut Mohawk’s [carpet manufacturer] point that the timing of Unibond’s [specific failed carpet brand at-issue] claims spike indicates that Arizona’s resin was the cause of the Unibond defects. The excluded evidence established that other products manufactured in the same Mohawk facility without Arizona’s resin experienced claims spikes at approximately the same time as Unibond. When these two points are considered outside the context of the remaining evidence, they make a compelling case for an abuse of the trial court’s discretion. Of course, context is key. When the trial court’s decision is viewed in the context in which Mohawk used the evidence of Unibond’s claims spike and the limitations of the evidence concerning other products’ claims spikes, the basis for the manner in which the trial court exercised its discretion in this case is understandable. Arizona argues that the evidence of other products’ claims spikes rebuts Mohawk’s causation theory because this evidence bears on the likelihood that other factors caused the Unibond claims spike. The specific factors Arizona suggests are poor quality control and lack of adherence to manufacturing protocol. However, there is no evidentiary basis in the record for supplying the connection between contemporaneous claims spikes of the four product lines and these factors. The record supports a theory that there may have been some general quality-control failings at the facility, but Arizona has not identified any evidence to substantiate its conclusion that problems with quality control explained the defects in the non-Unibond products. In fact, evidence Arizona submitted in opposition to Mohawk’s motion indicates that Mohawk traced the causes of the defects in the other products to design flaws and choices of raw materials, not quality-control or procedural failures. Without a more direct connection between the other products’ failures and Unibond’s failures, the evidence of the other products’ failures showed causation, or rebutted Mohawk’s causation theory, only to the extent that it showed Mohawk has a propensity to produce bad carpet. Introducing evidence for this purpose is improper. In light of these considerations, we find no abuse of discretion in the trial court’s decision to exclude the other-product evidence as legally irrelevant to the issue of liability. Arizona Chemical Company, LLC, supra (internal quotations omitted). When relying on “other products” evidence to support an alternate causation theory, it is important to connect the dots and create the evidentiary link between the other products’ failures and the failure at-issue. In other words, you need to create the evidentiary link supporting an alternative theory of causation by relying on the “other products” evidence. Although I have numerous blog articles regarding the appellate standard of review when it comes to the admissibility of evidence, it is important to remember that “[a] trial court’s ruling on the admissibility of evidence is reviewed for an abuse of discretion; however, the trial court’s interpretation of the evidence code is reviewed de novo.” L.L. v. The State of Florida, 41 Fla.L.Weekly D854a (Fla. 3d DCA 2016). In L.L., a criminal case, a police officer testified that he smelled the strong odor of marijuana from the defendant and that a plastic bag in defendant’s possession contained marijuana. The defendant objected that the officer’s opinions about the smell being marijuana and the substance in the bag being marijuana was an improper lay opinion and constituted expert opinion testimony (governed by the Daubert standard). The trial court allowed this testimony and the issue on appeal was whether such testimony was expert opinion testimony or proper lay opinion (fact witness) testimony. (2) The opinions and inferences do not require a special knowledge, skill, experience, or training. [T]he distinction lies in whether the witness’s reasoning process entails a reliable methodology beyond everyday reasoning. A lay witness, however experienced, offers no methodology beyond ordinary reasoning. An expert is equipped to draw more sophisticated, yet still reliable, inferences. The crux of expert testimony is that it presents inferences that are supported through the application of a reliable methodology. Thus, the witness who relies on experience to support an expert opinion cannot simply claim insights arrived at by applying everyday reasoning to that experience base, but must explain the methodology employed to reach that opinion. An experienced witness who does not bring such methodology to bear should be subject to the restrictions of the lay opinion rule. One important reason the Daubert standard [governing the admissibility of expert witness opinions] imposes a more demanding reliability inquiry upon expert opinion testimony is that the opinion results from a methodology or reasoning process that might be foreign to the trier of fact….But in cases such as the one now before us, even if the trier of fact does not have the personal experience necessary to identify the substance in question, the reasoning process is not “foreign in kind.” Many people who have seen and smelled marijuana would be able to recognize it in the same way they recognize anything else they have seen or smelled before. Here, Officer Munecas’s reasoning process is nothing that requires a specialist in the field of drug identification; it is reasoning familiar in everyday life. 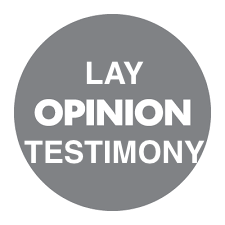 Finally, we hasten to add that although the more demanding Daubert admissibility standard does not apply to lay opinion testimony, there is nevertheless a reliability inquiry. Not only must lay opinion testimony be based on the witness’s personal knowledge, section 90.604, Florida Statutes, and perceptions, section 90.701, Florida Statutes, but the witness must have sufficient personal knowledge to support the opinion. L.L., supra (internal citations omitted). Closing argument is a very, very important part of jury trials to sum up the evidence in the context / theme of your case based on the applicable law. It is your last opportunity to talk directly to the jury about the theme of your case. 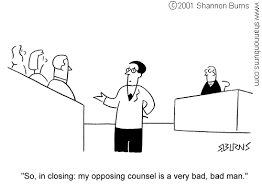 Check out this article for the purpose of closing argument. While lawyers are afforded latitude in presenting closing argument, improper and prejudicial argument could result in an appellate court granting a new trial. The opposing party must, however, timely object to the improper and prejudicial argument in order to properly preserve this objection for appeal. This is typically done at the time of the prejudicial argument with the opposing counsel moving the trial judge to declare a mistrial. See R.J. Reynolds Tobacco Co. v. Gafney, 41 Fla.L.Weekly D744b (Fla. 4th DCA 2016) quoting Engle v. Liggett Grp., Inc., 945 So.2d 1246, 1271 (Fla. 2006) (“If the issue of an opponent’s improper argument has been properly preserved by objection and motion for mistrial, the trial court should grant a new trial if the argument was ‘so highly prejudicial and inflammatory that it denied the opposing party its right to a fair trial.”). The standard of review on appeal for a motion for a mistrial or new trial based on improper closing is an abuse of discretion standard of review. Gafney, supra. In Gafney, a wrongful death case against tobacco manufacturers, the plaintiff’s lawyers made improper comments to the jury asking the jury to “send a message” to the tobacco companies through their compensatory damage award in the verdict. The plaintiff’s lawyers also insinuated in closing argument that the defendant’s lawyers were involved in a conspiracy to cover-up the addictive nature of smoking cigarettes. “Send a message” arguments have been defined as those that ask a jury to “award money not based on the proof supporting the proper recoverable damages allowed in a wrongful death action, but to remedy wrongful, intentional, as opposed to negligent, conduct,” and those that “suggest[ ] to the jury that a significant verdict will send a message to stop [such] experiences from happening and will make others less likely to act irresponsibly.” The overwhelming weight of Florida jurisprudence informs us that “send a message” arguments are clearly inappropriate when utilized in a way that links the “sending of the message” to a compensatory damage award, and not to the entitlement to, or amount of, punitive damages. Exhorting a jury with a “call to action” to use its verdict to “speak loud and speak clear” via a compensatory damage award, as was done repeatedly here, is improper. … However, today we clarify that even when both claims are at issue, a plaintiff may not utilize “send a message” and conscience of the community arguments when discussing whether the plaintiff should be compensated, due to the potential for the jury to punish through the compensatory award. Appellee’s counsel’s comments in this case served only to divert the jurors’ attention from the proper consideration. Gafney, supra (internal citation omitted). There is no question that appellee’s counsel went outside the broad parameters of permissible closing argument when he turned his commentary on opposing counsel. These statements were totally irrelevant to the issue of appellants’ liability. The insinuation that appellants’ attorneys were engaged in a conspiracy with either the defendants or third parties to mislead, conceal, or manipulate as part of an on-going scheme did not merely push the envelope, but instead went wholly beyond the pale. Accusations of wrongdoing by opposing counsel, such as those made in this case, would likely be improper even if made solely to a judge. Here, the comments achieved no other purpose than to discredit appellants’ attorneys in the eyes of the jury, planting in the juror’s minds the thought that the attorneys themselves were engaged in nefarious behind-the-scenes acts…. In another example, you can check out this article for improper closing argument leading to a new trial in a trial against an insurance company. If you have visited this blog before, then you know the importance I place on the business records exception to the hearsay rule in civil business disputes. (Check out this article too.) Lately, the business records exception to the hearsay rule is a hot topic in mortgage foreclosure cases. In yet another foreclosure case, Wells Fargo Bank, N.A., as Trustee, on Behalf of the Harborview Mortgage Loan Trust Mortgage Loan Pass-Through Certificates, Series 2007-1 v. Balkisson, 41 Fla.L.Weekly D308a (Fla. 4th DCA 2016), the trial court entered an involuntary dismissal in favor of the borrower and against the lender after sustaining the borrower’s objection to hearsay based on the lender not properly laying the foundation for the business records exception to the hearsay rule. (An involuntary dismissal is essentially the same thing as a directed verdict in a non-jury bench trial. Similar to a directed verdict, the standard of appellate review for a motion for involuntary dismissal is de novo. See Wells Fargo Bank, supra.) The trial court sustained the hearsay objection because the loan servicer’s records custodian witness was unable to describe the specialized computer programs utilized to generate the payment history and default notice. The trial court’s ruling in sustaining the objection precluded the lender from presenting the payment history and the default notice into evidence meaning the lender could not prove its case at trial. The Fourth District Court of Appeal reversed. The Fourth District explained that a testifying witness establishing the business records exception to the hearsay rule “need not be the person who actually prepared the business records. Instead, the witness just need be well enough acquainted with the [record keeping] activity to provide testimony.” Wells Fargo Bank, supra (internal quotations and citation omitted). 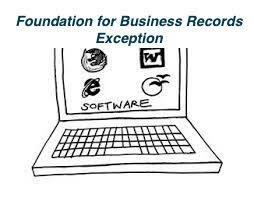 While the witness was not familiar with how data was entered into the computer system, there is no requirement that the witness have such knowledge to satisfy the business records exception to the hearsay rule. The witness was sufficiently familiar with the loan servicer’s practices and procedures in generating the payment history and notice of default to lay the foundation for the business records exception. Oftentimes, courts are required to engage in statutory construction and this statutory construction becomes a driving issue in the dispute. 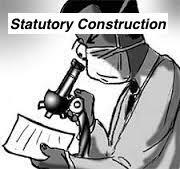 Statutory construction is the process of a court interpreting law and then applying that law to a set of facts. For example, if your case turns on the interpretation of a particular Florida statute applied to your facts, this would be statutory construction. 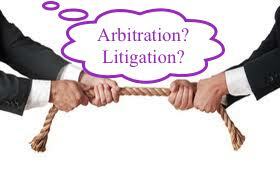 On appeal, the issue of statutory construction is subject to a de novo standard of appellate review. Taylor Morrison Services, Inc. v. Ecos, 163 So.3d 1286, 1289 (Fla. 1st DCA 2015). 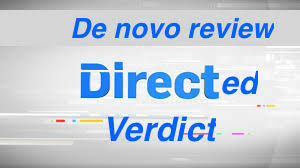 A de novo standard of review means the appellate court is going to review the trial court’s record anew without giving deference to the trial court. The correctness of the trial court’s order turns on an issue of statutory construction, which is subject to de novo review. Proper statutory analysis begins with the plain language of the statute, which is to be considered in context, and not construed in a way that renders any portion of the statute meaningless. 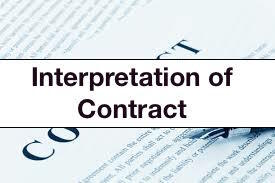 When the [statutory] language is unclear or ambiguous, it is appropriate to apply established principles of interpretation to discern the meaning of the governing text. Taylor Morrison Services, 163 So.3d at 1289 (internal citations omitted).